Designed to meet the new part L Building Regs, for use in bathrooms and toilets. Ideal for en-suites. Hole diameter: 115mm. H x W x D 163 x 163 x 28mm. Timer version adjustable 1-20 minutes. Humidistat version adjustable between 40% RH and 95% RH. 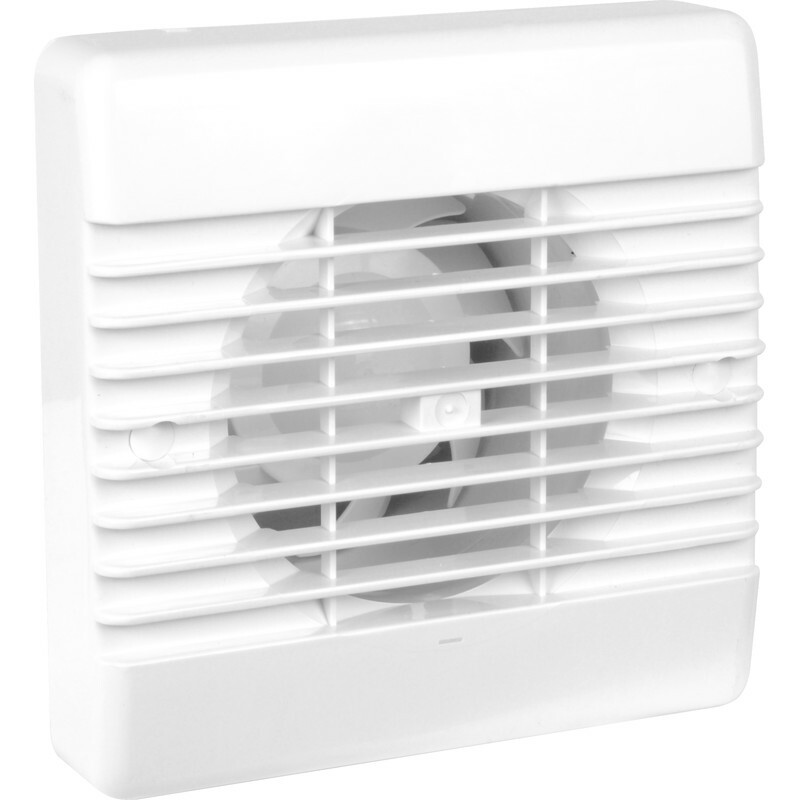 Airvent 100mm Quiet Extractor Fan Pullcord is rated 4.5 out of 5 by 31. Rated 5 out of 5 by Dibby from Extremely quiet Got one in utility room and cloakroom. Handy having anti- throw back of air so only need one vent out of wall. Rated 5 out of 5 by Danj68 from Top fan I’d bought another make with backdraft shutter that was quite big and bulky. The air vent has a nice look to it and is really quiet. Rated 5 out of 5 by Kevin 73 by from Good value Bought this over a month ago. Finally fitted and working well. Rated 5 out of 5 by Mike12 from OK unit Bought one recently to replace an identical failed unit that lasted 4 years in a heavy use environment. Works fine. Rated 2 out of 5 by Jason Bristol from Fan is quiet, Humidistat does appear to work I've had this fan installed for over 2 weeks now and there is no humidity setting that works in our utility room. The fan either stays on all the time or never comes on. Doesn't matter if the met office says 100% humidity outside and the room is full of damp washing or if the heating is on and the room is dry and empty. Worst still you have to remove the cover to adjust the humidity sensor so our cover has had to remain off. We replaced a humidity controlled fan that packed up due to old age and that did work perfectly in the same room and place The fan itself is very smooth and quiet so as a manual fan it would be quite decent. I'm going to return it but of course that means removal and refitting - more time and effort than the fan costs. Rated 5 out of 5 by Carterj from Extractor fan All you need in a fan, quiet and efficient.